Ant. 1. Sing for us one of Zion’s songs, alleluia. Lord, remember your pilgrim Church. We sit weeping at the streams of Babylon. Do not let us be drawn into the current of the passing world, but free us from every evil and raise our thoughts to the heavenly Jerusalem. Ant. 2. Though I am surrounded by affliction, you preserve my life, alleluia. Listen to the prayers of your Church, Lord God; in the presence of the angels we praise your name. You keep the proud at a distance and look upon the lowly with favor. Stretch out your hand to us in our suffering, perfect in us the work of your love and bring us to life. Ant. 3. Yours, O Lord, is majesty and power, glory and triumph, alleluia. Let the word of Christ live in you in abundance, with all wisdom, teaching and correcting one another, with psalms, hymns, and spiritual canticles, singing to God with the grace in your hearts. Ant. 4. I know my sheep and they follow me; I give them eternal life, alleluia. Lord Jesus, you live forever; hear our prayer. – make the Church your spotless bride. 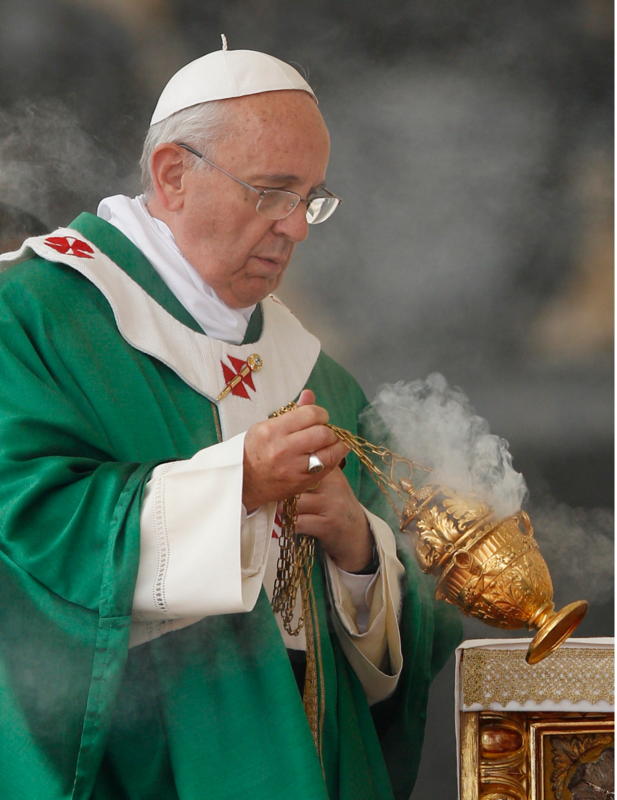 – increase from day to day the love and devotion of Francis our Pope. – send others to continue their work as fishers of men. – grant that we may never allow others to die of hunger. – that the fullness of your joy may be theirs.